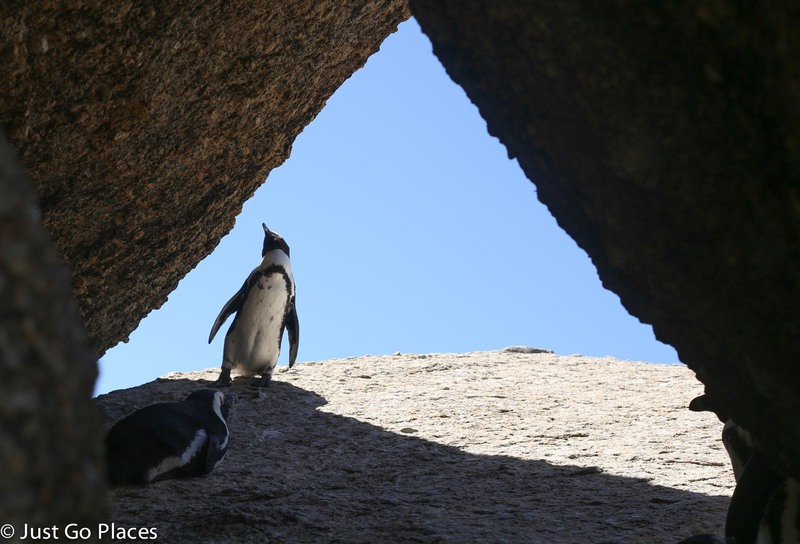 I was fascinated with this penguin at Boulders Beach in the Cape Peninsula of South Africa. He stood there watching this boulder for the whole time we were at the beach. I kid you not. We made a game of trying to figure out what he was thinking. Was he trying to will the boulder to move with his mind? Was he having an existentialist crises and contemplating dashing himself against the boulder? Did he think he was in a staring contest with the boulder? The children thought perhaps he had been naughty and he had been put on the “naughty” rock by his mother. Penguins are such funny creatures. 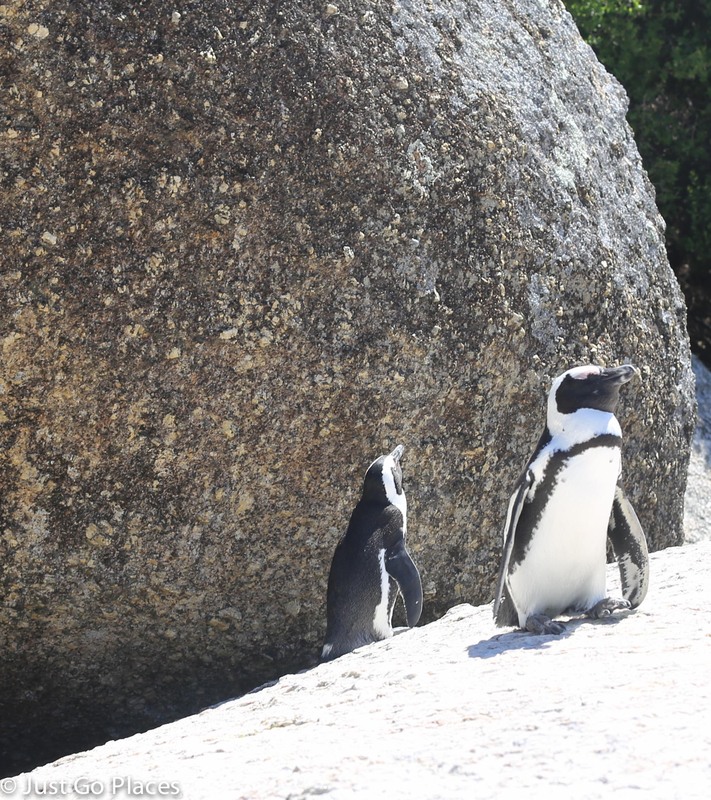 My children absolutely loved Boulders Beach. There were lots of rocks to climb, a shallow swimming area and friendly penguins who walked around completely unperturbed by all the humans. I think this experience at the beach hanging out with the penguins will be one of their most treasured memories.